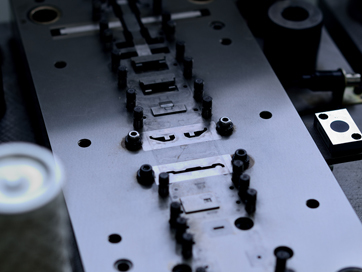 We will provide high-speed, high-quality pressing products with 3 ~ 60 tons pressing machines and our own designed molds. By utilizing our multi-forming machine with bending and stamping equipment from 12 different directions, we can offer production for thin plate material which is thought to be difficult to process by pressing process. We will cooperate in total cost reduction considering the pre and post process not only the molding process fees. 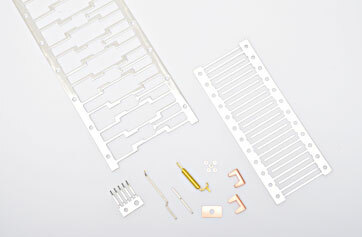 We provide customers with the technology and services cultivated with our precision parts molds. Extremely fine processing of "cutting" "stamping" "punching" by our original technology. We use a quality assurance system that detects processed shapes and length with image processing sensors. Utilizing high-precision progressive mold, press machine, feeder etc. based on many years of our know-how and sensor technology, we succeeded in high difficulty processing. 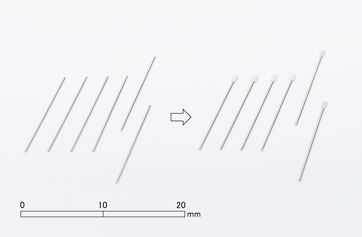 The pressed thickness is highly accurate in microns.